This is a special energy wave designed explicitly for a quick kill of one's opponent. When the wave strikes its victim, the evil in his heart expands and causes his heart to explode. Of course, the victim then must have some evil in his heart for the attack to work. By raising two fingers, the user of this attack can create a large explosion that will totally decimate the surrounding area or the ground under an opponent. An ultimate ki attack, this is is an extremely powerful ki blast shot from one hand, the other hand is gripping the shooting hand's wrist for support. This purely defensive technique forms a ki-shield around the body that protects the user from ki or similar attacks. There are two forms of this maneuver. One is a spherical shield that surrounds the body, the other is more of a coating of the body. Created by Vegeta. Is a huge ki bolt of incredible destructive power. The person holds one flat palm forward towards his enemy and launches the bolt. Used to try to kill Cell but failed. This technique is used by the leader of the Ginyu Force, Captain Ginyu. Ginyu spreads his limbs out, shouts "Change!" and shoots out a bolt of energy, and if it hits its target, Ginyu changes bodies with that person. Ginyu then gains the strength and speed of his target, but not his special techniques or ki. After changing bodies, Ginyu can still do a Body Change. Ginyu will change bodies with the first person to hit his change beam, and thus if someone gets in the way of his intended target, Ginyu will change bodies with that person instead. The ability to fly with one's ki. A powerful energy blast shot from both hands. It is done when holding both hands forward, while doing some strange arm moves, and then put both hands forward again, index fingers and thumbs touching. Then release the blast. Chou Kame Hame Ha "Ultimate" Kamehame-ha. Goku uses it first while facing Piccolo in volume 16. Done when you power up the blast between the palms of the hands in front of his chest, then releases the blast. A very unique technique done when both hands, or a single hand are put forward which can manipulate the bodily movements of his opponent to an extent, providing that the opponent is not too powerful. The person can stop someone's movements or cause internal pain with this technique. Used by Jiisu. The Crusher Ball is a ki-ball that is produced from the palm of the hand. With a swipe of the hand with two fingers extended, it creates an invisible cutting beam that goes a long way. This is a small ball of energy which can be created from either the tip of the finger or with both hands. A blast shot from one finger, which explodes upon impact. It shoots a Kamehameha-like blast from each hand, and can be guided towards the enemy. Created by Androids 19 and 20. It absorbs energy, either from people's bodies or their ki blasts, through the holes in the palms of their hands. Used by Recoom. It is a large, powerful ki blast shot from the mouth, and can destroy in a very large radius from where it hits. It is basically a double ki blast shot from the eyes. Used by Freeza, a beam of energy shot from one finger. This technique is used to fuse two people into a single person, and give the fused person a huge power boost. Fusion can be done two ways, using Kaio earrings and doing the special dance. Anyone can do the Fusion, but you have the same power as whoever you fuse with, and you must learn the correct pose and form. It's easy to make a mistake and fuse into something far weaker though. The Fusion lasts for 30 minutes before the fused person becomes two again. You draw in your breath while falling down, puffing yourself up and slowing your fall. Donut It is a ring of ki energy that Gotenks can control to change size of the diameter of the Donut. The Donut can be used to surround the enemy and trap him by holding his limbs with the Donut. You power up the blast like the Kamehameha, but when you release the blast, your hands are both palm-forward. After trapping someone with Renzoku Super Donuts, you beat the ball around a bit before spiking it really hard into the earth. A large ball of energy gathered from nature, humans, etc., which lend you their energy. Used by Goku in movie 3 to destroy Dr. Wheelo. You spit up a strange sticky substance at your opponent. The Gum then wraps around the victim, inhibiting his movement. You treat your opponent like a volleyball and hit them around volleyball style. It shoots a Ki blast forward using both hands and traps his victim in a shocking field of energy from which the opponent cannot escape. A magic spell used to make people explode. When you move your arms fast enough so there are like eight, and you attack with all eight at once. Fires a powerful blast from cannons under your wrists. A powerful breath of fire. A Japanese game identical to that of "Rock, Paper, Scissors." Goku then has three different types of Jan-Ken Punches. A series of Ki blasts shot into the air, which seek their targets upon being fired. This is primarily a power-up move. When Goku uses this technique, he flares up and gains a large boost to his speed and power. Goku can also use multiplied power to his Kaioken, like Kaioken time 3. Shoots a blast from each hand. Then control the blasts so that they merge and then directs it above the heads of the enemies. There upon split the blast again into many smaller Ki bolts which rain down upon the enemies. Fires many Ki bolts around the opponent, surrounding them, then controls the bolts so they all shoot toward their target. It is a Ki blast, which to start is charged up held behind the firer in cupped hands, then brought forward to release a large blast of energy. This technique is used simply by yelling really loud which disperses weaker Ki attacks. An invisible force attack that knocks one's opponent back. It can be shot either from an open palm or from the eyes. It is a flat, disc-shaped Ki blast, which can be used to slice through its target with deadly accuracy. Used mostly by Krillin. You put the tips of your fingers of both hands together, forming kind of an "O" between his fingers and his thumbs. Then you shoot a very powerful Ki blast through the "O" at the opponent. A Ki beam that shoots out somewhat as an extention of the hand and can be swung and stabbed to cut or pierce enemies. You can eat light using this technique. It lets you grow your body to a huge size, making the range and strength of your blows much more effective. You act like a mad dog, barking and charging at your enemy to scare him, then jump over him and kick him from behind. It is a swirling blast of energy shot at the intended demon. Once caught in the blast, the blast is directed into a jar, bottle, or other imprisonment container, thus imprisoning the demon. However, if the container is opened, whoever is trapped inside will be freed. A penatrating blast shot from two fingers. It is actually two blasts, one going straight ahead and the other coiling around the first for drilling power. This attack drills through everything it hits, and eventually blows up when it hits something big enough. Used by Piccolo to kill Raditz along with Goku. It gathers Ki into both of your arms, then fires a blast from each one after the other. It powers up a blast over your head with both of your hands, one palm behind the other, then you bring your hands down in front of you to fire the blast. Using the Namek ability to extend their arms, Nameks extends their arm at the enemy from a distance, thus surprising them. This is a magic spell used to teleport people in Babidi's spaceship. Preparing yourself in a special stance, attacks with many "claw-like" punches and kicks, finishing off with a double-fisted "claw-punch." Satan curls up into a ball, rolls along the ground, then punches his opponent. The user of this technique can shoot Ki bolts continuously from their hands, resulting in somewhat of a "machine-gun ki blast" effect. This is Gotenks' adaptation of the Renzoku Energy Dan technique. A Ki blast that is shot out of the mouth. Used to hypnotize someone and affect his or her mind. A distract and avoid technique. Used by Mr. Satan, really just a normal punch. Created by Dabura, his saliva will turn whatever it hits to stone. Created by Piccolo, this technique is used to split a person into four different parts. Each person created is not just an image like that created with the Zanzoken, but can fight and be attacked. The only problem with the Shishin No Ken move is that each person has only has a quarter of the power and the speed than if there was only one. It sprouts out an extra set of arms from the shoulders. Is an invisible blast shot from the eyes or hand. The user places two fingers on his forehead, searches for a Ki he wants to go to, then when he finds it, can teleport there. This is a round energy ball shot from the palm of the hand. The person acts drunk and wobbles around. Thereby, he confuses his opponent, and hits them when they are off guard. 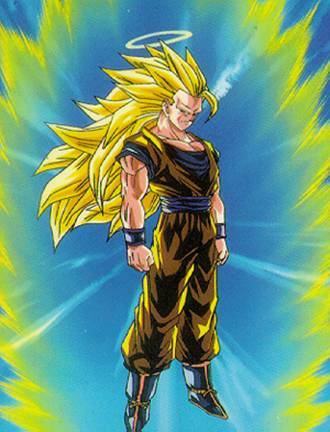 Created by Gotenks, he spits out a ghost-like form closely resembling the person. The ghostlike form has a mind of its own, and when it hits anything, it explodes, severely damaging whatever is caught in the blast. Created by Tein and used by other Z warriors. The user puts his hands in front of his face, says "Taiyoken," and lights up very bright, so much that he blinds his opponent. The user of this technique jumps high in the air, then on the way down, face forward with his arms in an "X" position, landing on his opponent with the arm "X. This is an attack used by Guldo and when used freezes time for his opponents so that they are frozen in whatever position they were in. But can only last for how long he can hold his breath. It is a Ki blast, and it tracks its enemy. The user of this technique pulls a piece off of his body and controls it to attack his opponent in some way. It is a hypnosis technique used to put people into a deep sleep, by using a strange voice and hand motions. This is a technique used by the Saibaimen. They split their head in two and shoot a stream of acid from it, which is very dangerous if it hits its target. The user can move so fast he leaves an after-image, while attacking from another standpoint.